Small, medium-sized and even large enterprises have all started to utilize Facebook to promote their business. In fact, Facebook has now served as one of the largest advertising medium for any business enterprise. If you are yet to create a custom fan page for your own brand, let the best Facebook fan pages of today enthuse you into this type of promotion. The famous name in car manufacturing industry, Porsche, found a great way of enticing more fans. 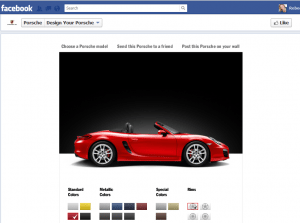 They added a “Design a Porsche” feature in their “Favorites” which allows visitors to design their very own Porsche car. The user can choose the color of his choice as well as the rim style. What’s more is that the finished design can be posted on your own wall and even on a friend’s wall. world’s most well-known theme park, Disneyland. They incorporated customer service along with their page and potential customers would find this helpful indeed. Another captivating feature which included them in our list of best Facebook fan pages is their “Like” button. Mickey Mouse is perhaps their most famous cartoon character and they made use of this stardom to gain more fans, especially kids. And the best part is that “likers” get a chance to join a sweepstakes and win a vacation package. 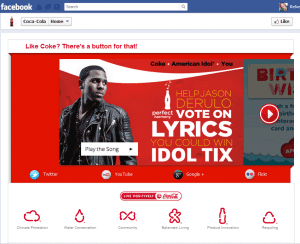 More popularly known as Coke, Coca-Cola is among the names that would never fail to be included in Facebook’s top 20 fan pages. Their page is full-packed with features such as promos, exclusive downloads, applications and a whole lot more. One of their highlights is a particular page where guests can share their Coke stories to everyone. Aside from the “Like” button, their welcome page offers links to their other social media streams. Now that’s social media marketing at work. Their FB page also included a page dedicated to a variety of videos coming across the globe. Fans are sure to get loads of entertainment from their page. pages with simple designs. However, what made it have its place in our best Facebook fan pages list is the way they created a division of their visitors. It’s pretty cool and unique way of welcoming new fans. flashy, captivating and appealing print banner ads. Today, the game is on embellishing a good cover photo. Check out Bob Marley’s photo below. It contains a quotation that for sure, genuine Bob Marley fans are very familiar with. There are a lot of creative and clever ideas that developers can think of for their page. 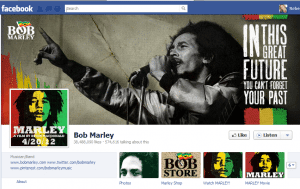 For the Bob Marley FB page, they’ve got photos, shop, videos, and a browser, which is actually a skin or design for browsers like Firefox and Internet Explorer. Creating something that fans could find uniquely in your page could actually draw more fans to like and visit you. gratitude for them. 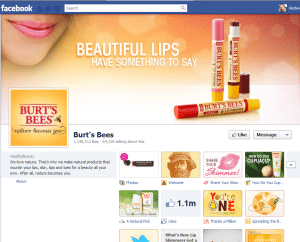 And that’s one of the amazing features Burt’s bees’ fan page. They also update their page from time to time with their current offers. Facebook is also a perfect place to advertise and introduce new products in the market. 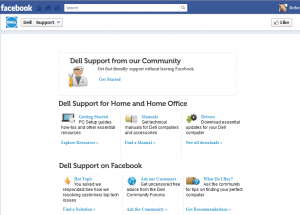 Dell is said to be one of the first companies that embraced social media. If you try to check it, their page is really very simple. It’s not too flashy at all but it’s got a customer support feature even when you are inside Facebook and the service you get is the very same service you can have when you are in their website. Incorporating Social Media Marketing with your business website is critical these days. Today Facebook has grown to be a worldwide phenomenon and any business enterprise will earn publicity and gain popularity from a Facebook page. Since this page is a bit different from a usual personal profile, Fan Pages that Sell is happy to share with you how to create a Facebook page for your business, no matter how big or small it is. It isn’t necessary to have a personal profile prior to setting up a Fan Page, but it can make the process easier. We will begin our steps based on individuals who already have a personal profile. STEP 2: Choose the category that would best fit your purpose. Do this by simply clicking on the icon of your choice. For this tutorial on how to create a Facebook page, let us choose ‘Local Business or Place’. STEP 3: FB offers a wide range of categories so take your pick. After you complete filling out the details, check the radio box of the Facebook Pages Terms. This is what will display next to your profile picture on all your posts and comments. This name will also be the one displayed as the header on your Fan Page. Unlike the username, you can always change your name. If you have keywords for your business– utilize them in the name of your Fan Page.name. STEP 5: Upload your Profile Picture. Your profile picture can be anything you like but we would recommend using your company’s logo or a picture of yourself if you are the brand. This is the image that will display when posts are made for your fan page. Dimensions: 180 x 180 pixels. STEP 6: Provide the information that will go into the About section. If you are a local business, provide your business address, phone number, website and hours of operation. If you are a company or brand, provide information on how visitors can stay connected with you. This is a great spot to put a “call to action” and provide a link! STEP 7: You will be taken to your new fan page. At this point you can click the Like button. However, we recommend holding off on this until you are ready to publish. To do so, you can hit the Skip button. STEP 8: At this point you will be invited to invite your friends. However, we recommend holding off on this until you are ready to publish. To do so, you can hit the Next button. STEP 9: At this point you will be invited to share something. However, we recommend holding off on this until you are ready to publish. To do so, you can hit the Skip button. * Note: Your admin panel may be open at this point, which is confusing to some. Click on the Hide button to move forward with the next steps. STEP 10: Add your timeline cover. The Timeline cover is an image that displays on the top of your Fan Page. This is a great opportunity to showcase your business and create and emotional connection with your visitors. 1. You cannot display price or purchase information for your services or products. 2. You cannot have your contact information listed. 3. You cannot put any call to action on your timeline cover. 4. You cannot encourage users to “Like” or share your page. 5. You cannot mislead or infringe on any intellectual property. Congratulations! 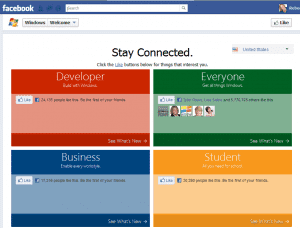 You have now completed creating your Facebook Fan Page. Of course you can add more information and go in deeper – but the basics are finished! We have all heard it many times on how the power is in THE LIST. The List refers to the individuals that have subscribed to your eNewsletter campaign. The eNewsletter campaign is one of the easiest and best ways to stay in front of your audience. When you are consistent in sending out messages to your audience, they will remember you when they need your service, or one of their colleagues needs a referral. That is definitely a good thing. One of the challenges with the eNewsletter list though is actually getting people to sign up for it. My clients routinely ask me how to build your email list using Facebook. 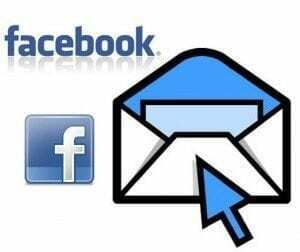 Because there are several tried and true ways to build your email list that most of us small business owners have heard of and may be currently employing, my suggestion is always to take those methods and apply them to Facebook. 1. Offering a free gift such as a report, audio or video in a digital download after someone signs up for your eNewsletter on your website. 2. When running a table or booth at an event have a box to collect business cards for a drawing of some sort, with the statement or understanding that they will be added to your eNewsletter list. 3. Giving a presentation and collecting business cards with the expectation that they will be added to your eNewsletter list. By collecting these names and adding them to your list, it helps people remember you and allows you to maintain a relationship with them. Another great way to make new friends and network for your business is through Facebook, both your personal profile and your business fan page. I always like to compare Facebook to a globally attended 24/7 networking location. Why not employ the same techniques as you do in the LIVE world to the Facebook world? 1. Directly on Facebook, add an opt-in form and offer your free gift in digital download, just like you do on your website. 2. Think of your Facebook Fan Page just like you would a business booth at a live event. This is a great place to start collecting this information. Make a post to your fans and let them know about the great gift you have to offer. This can be done several times a week and can be used for a free session, a free report, whatever brings your fans closer to becoming a customer. 3. Host a free teleseminar and create an event through Facebook. Have your guests register for the event and sign up for your eNewsletter at the same time. Building your Facebook Fan Base is really important, but building your eNewsletter list ensures that no matter what happens to Facebook, you still have all the contact information of the people who love you and want to hear from you! A successful facebook business page for your business allows you to communicate through social media with established customers and potential new clients. A successful Facebook Page does more than just gives basic contact details to your customers. Update your Facebook page often to provide customers with current information about your business to keep the content relevant. 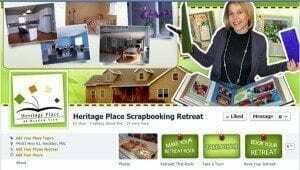 A Facebook page is free to create and only takes a few minutes to set up. Choose the “Create a Page” option on the Facebook homepage. Choose the category for your company. Options include local business, company, institution, brand or product. Give the details about your company, including business name, address and phone number. Select “Edit” on your Facebook page to enhance the information provided to users. Upload your company logo or storefront as your page’s profile picture and give more details about your business’ services and products. Be sure to list hours of operation. Allow applications on your Facebook page. Application options include discussion boards, photo sharing, video sharing and reviews for your business page. 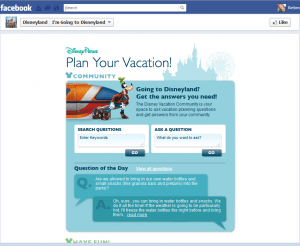 Respond promptly to users who share on your Facebook page to make the experience as interactive as possible. Invite friends, colleagues and past clients to “Like” your page on Facebook by sending the link to them via email. Let customers know you have a Facebook page by printing the URL on marketing materials. When a user “likes” your page, it shows up on her profile page and may attract other users to your page. Fill your Facebook page with interesting and relevant content. Post messages about new services offered or upload photos of new products. Advertise sale events on the page and consider giving out unique promotional codes to Facebook users for discounts on your company products or services. Hold a weekly or monthly contest through your Facebook page to encourage users to check back. For instance, if you sell baby clothing, hold a cutest baby contest and ask users to submit baby pictures. The winner receives a free basket of baby clothing pieces.